October is a great time for quilting—the weather is cooler, the gardens have dyed down, daylight is waning and the holidays are approaching. 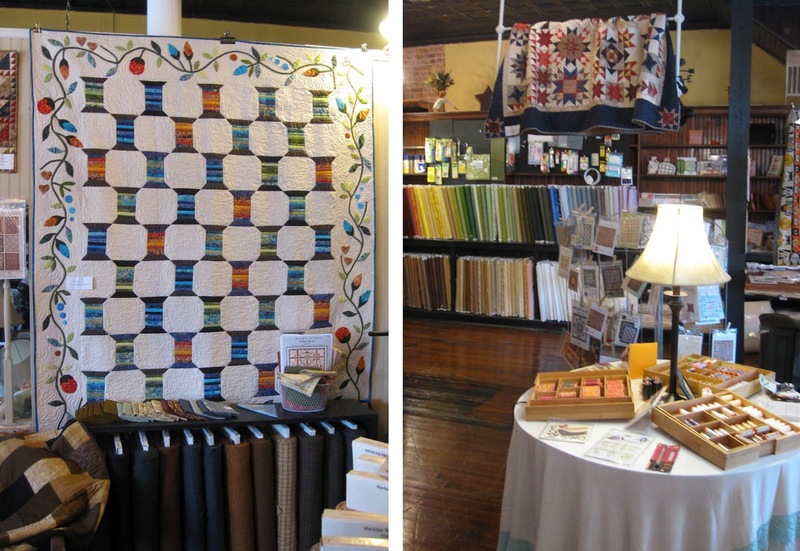 And... several of the quilt shops I have visited on my Fabric Rep Trek are celebrating anniversaries, having grand opening events and participating in shop hops. 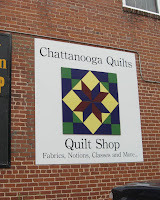 Chattanooga Quilts, located in Ooltewah, Tennessee, is one of them. 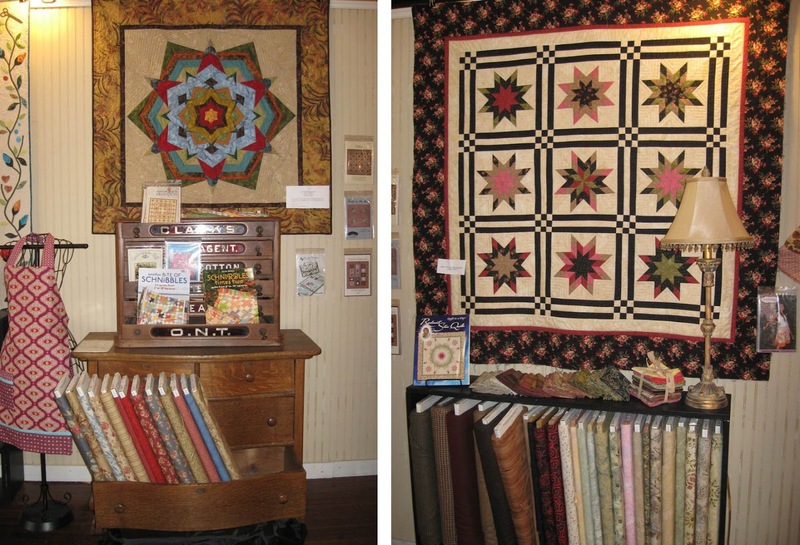 Kim Thomas, the owner of Chattanooga Quilts, opened her shop just about a year ago. Nestled in an historic-like brick building—complete with high ceilings, wooden floors and chandelier light fixtures—this quilt shop exudes charm, tranquility and a classic beauty that just speaks "quilting" when you walk in the door. Experience the classic charm of Chattanooga Quilts. This shop carries many traditional and reproduction fabrics as well as a selection of batiks, cute bright prints, soft florals and 30s. The extensive assortment of neutrals, creams, beiges and tans will serve any quilting or appliqué project as a background, blender or companion to a focal fabric. 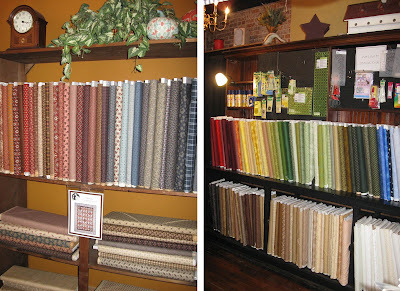 Or, why not try an all-neutral quilt (a la Alex Anderson)? Traditionals, reproductions, neutrals and blenders. 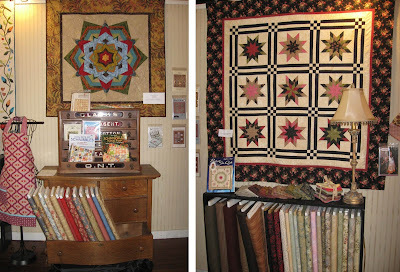 Inspiration is everywhere in the shop in the way of beautiful quilts—large, small and sizes in between. 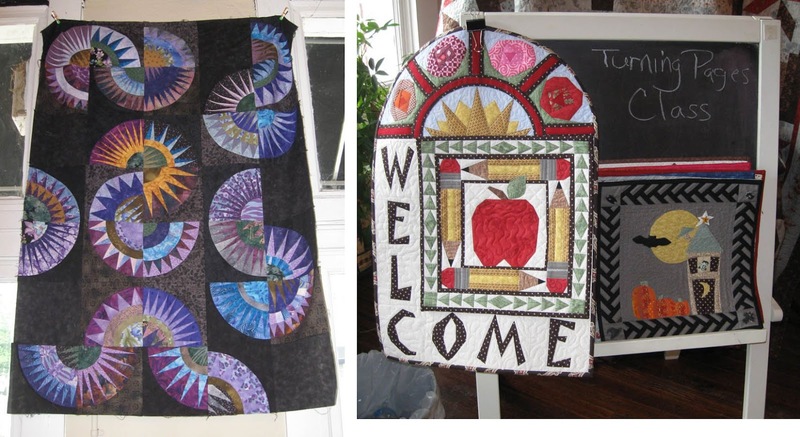 There seemed to be every technique displayed in one sample or another, from various methods of appliqué, to patchwork, paper piecing and wool appliqué and embroidery. a star sampler made with flying geese and half square triangles. 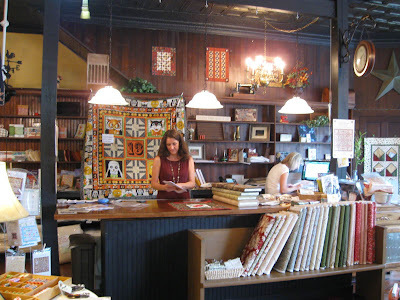 The displays in this shop also bring out the old world charm and warmth of the open floor plan and bare brick walls. 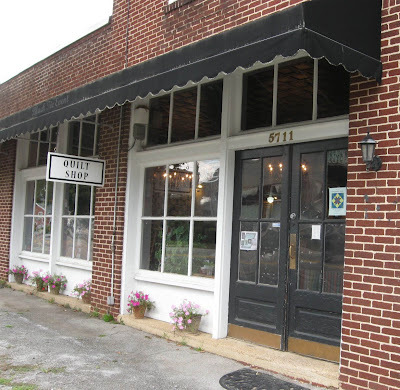 You'll find the fabrics, patterns, books and notions amidst tablecloth-covered tables, table lamps with vintage style shades, a small wooden bureau and an antique sewing machine cabinet. 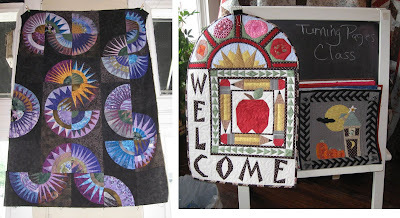 New York Beauty quilt and a monthly quilt-y calendar. The displays are small vignettes all to themselves. 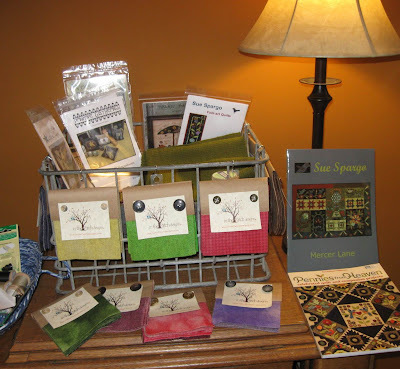 Wool bits and books on wool appliqué. My package of hand-dyed wool charm squares. 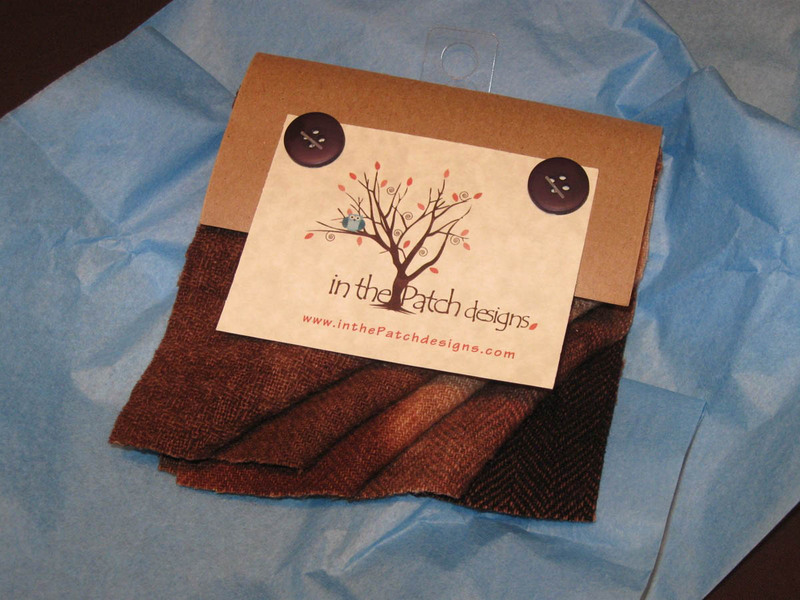 ... and wool flannel in warm browns, plaids and blues. 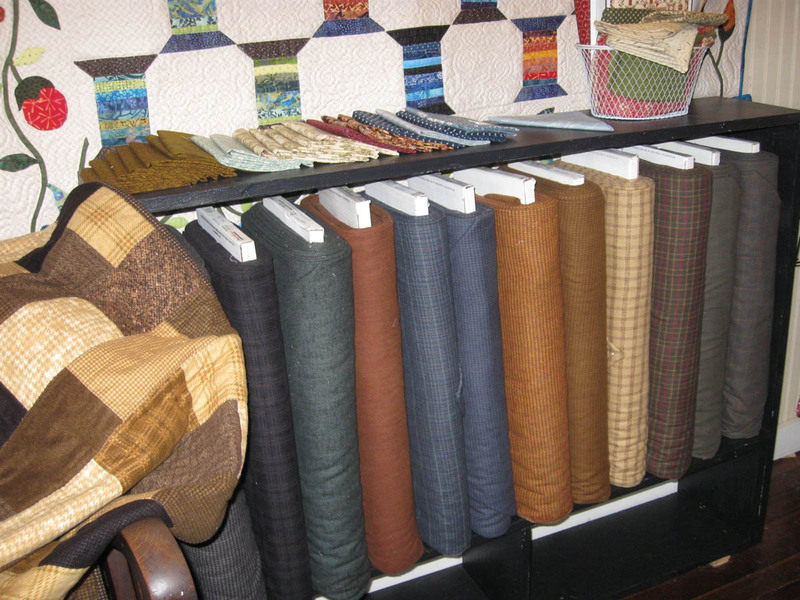 A selection of wool flannel fabrics. 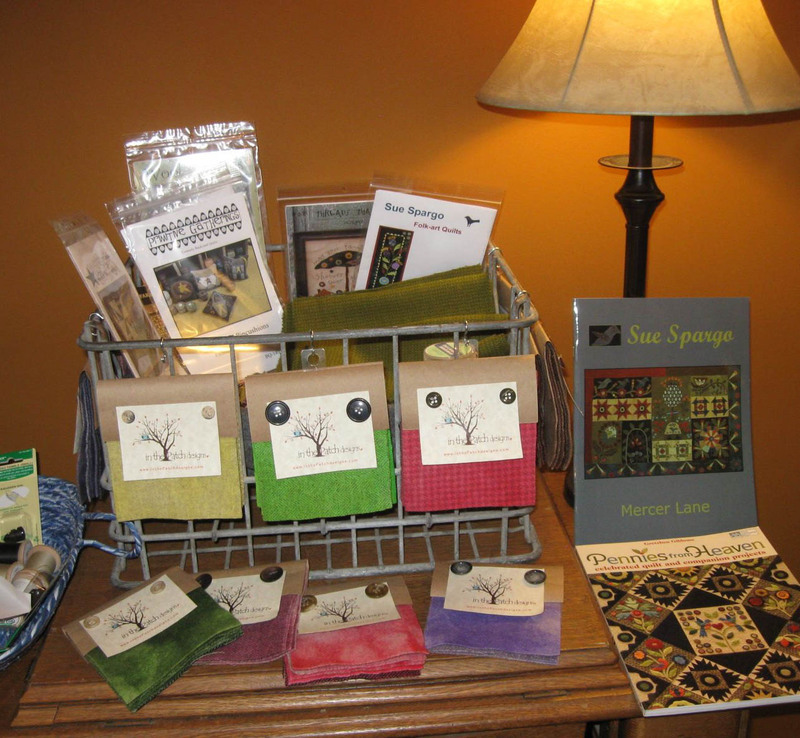 Classes are offered at the shop on a variety of projects and topics. The cozy classroom area is set up toward the back of the main room. 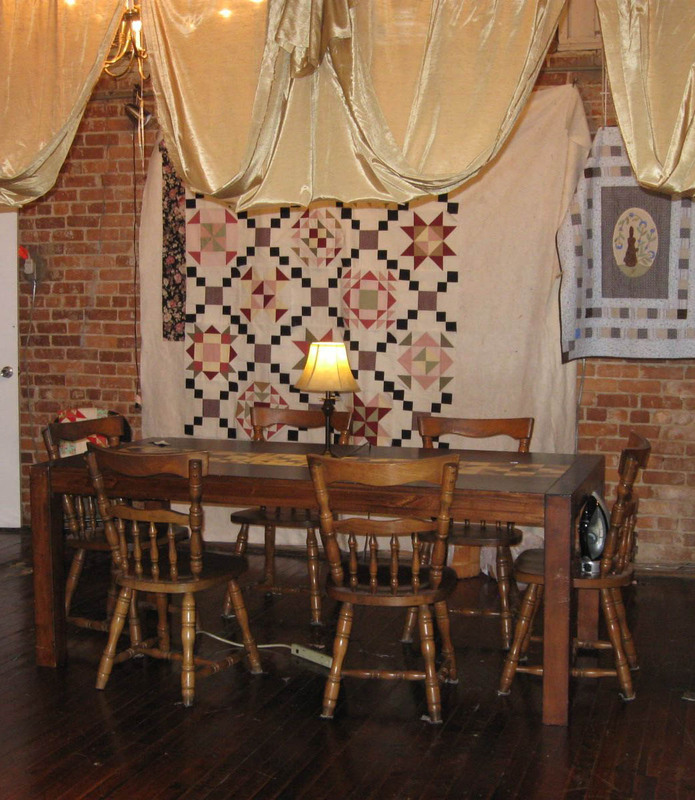 Classroom area at Chattanooga Quilts. Stop in for a leisurely visit at Chattanooga Quilts and wish them "Congratulations" on their first anniversary... and many more happy "quilt-y" years ahead.